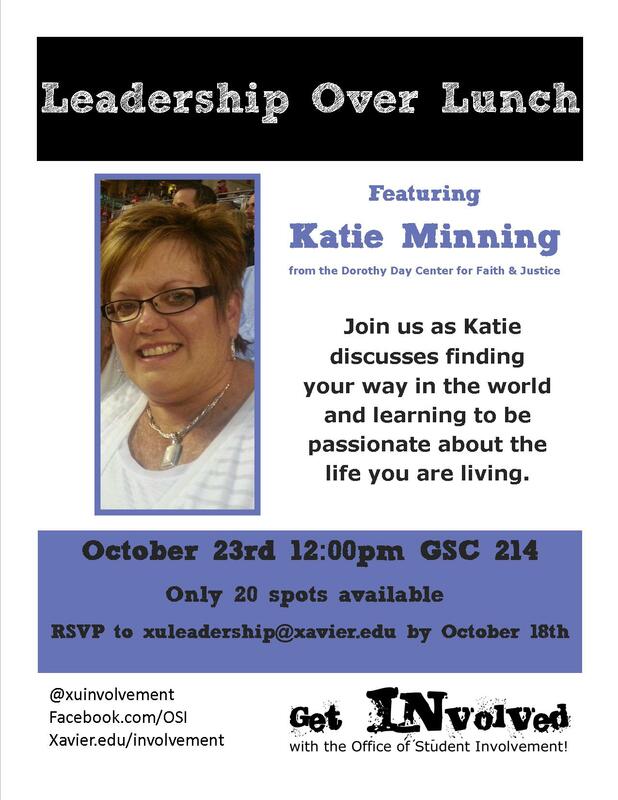 Leadership Over Lunch (LOL) is a monthly luncheon where Xavier staff or faculty discuss their community involvement and their own leadership experiences with a group of 15-20 students. Guest presenters share their ideas on leadership and discuss their passions and interests. Lunch is provided. RSVP required. While there are currently no upcoming events, please check back for more information on the possibility of future lunches. E-mail xuleadership@xavier.edu with any questions!